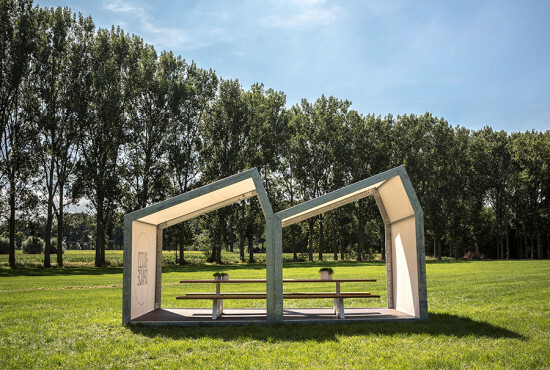 With the workplace expanding into the outdoors—yes, that is now a thing—stylish shelters (often equipped with power outlets) are popping up to shield laptops and their users from the glare of the sun. 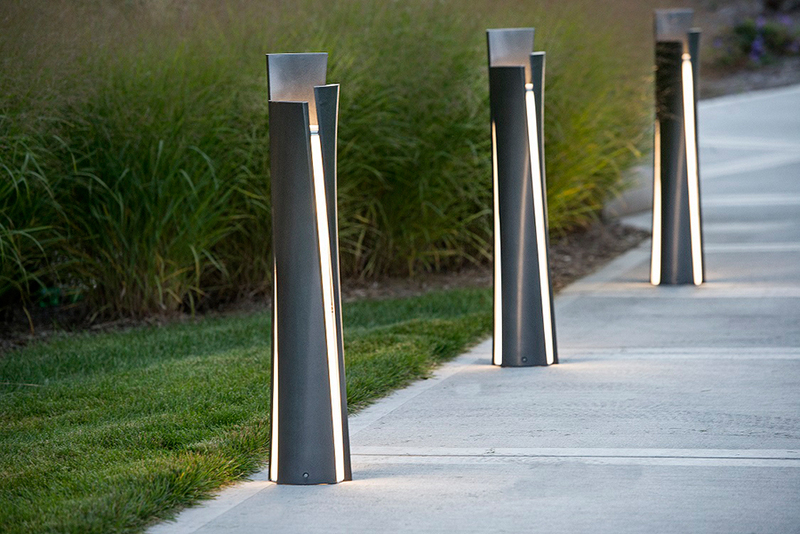 Elegant bollards light the way to these new outdoor offices. This modular, outdoor-ready workspace is framed in metal and sheathed in Sunbrella. 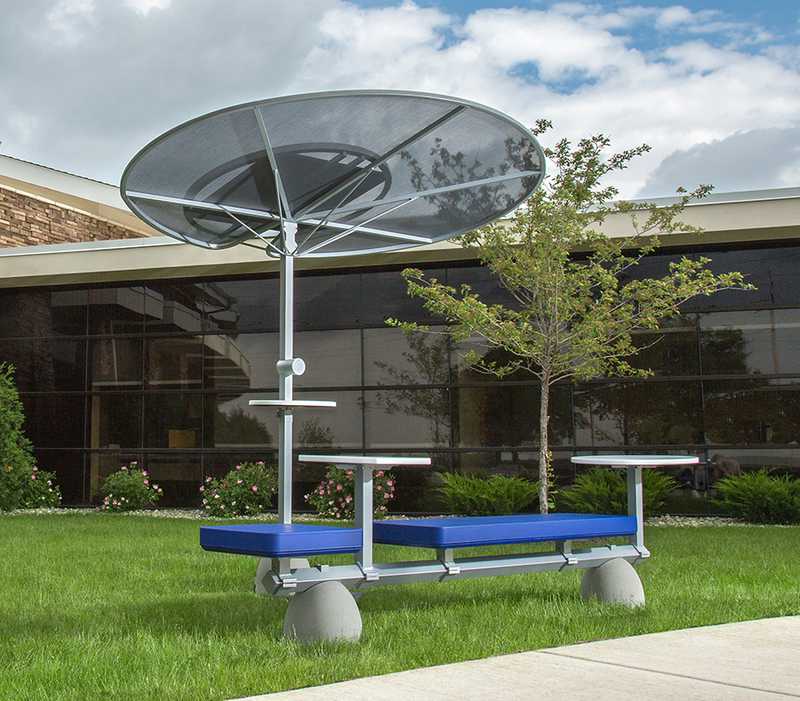 A weather-resistant table/bench combo, BuzziBreeze, is also offered. Designed in collaboration with Atelier Tradewinds. This robust bollard provides glare-free widespread symmetrical illumination while acting as a piece of urban furniture for schools, parks, and other public areas. Fabricated of die-cast aluminum, the fixture is rated for wet locations. Offered in four standard colors, with custom hues available. 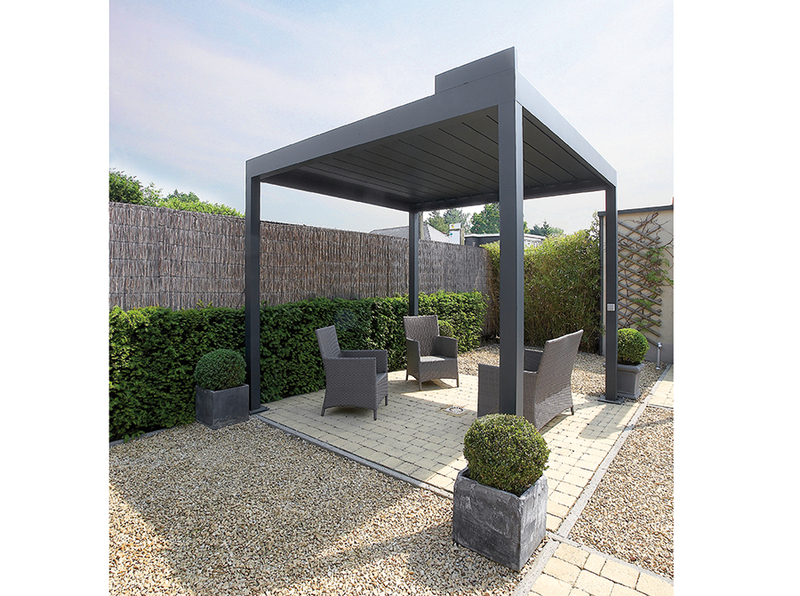 The Algarve structure, offered up to a size of 13 x 20 feet, features a gutter system that drains water away from the rotating aluminum roof louvers. It can be fitted with lighting, heating, and audio accessories. A 90W solar panel topping the Lily Shade powers an integral charging station, allowing users at the modular Grove tables and seats to plug in and produce. 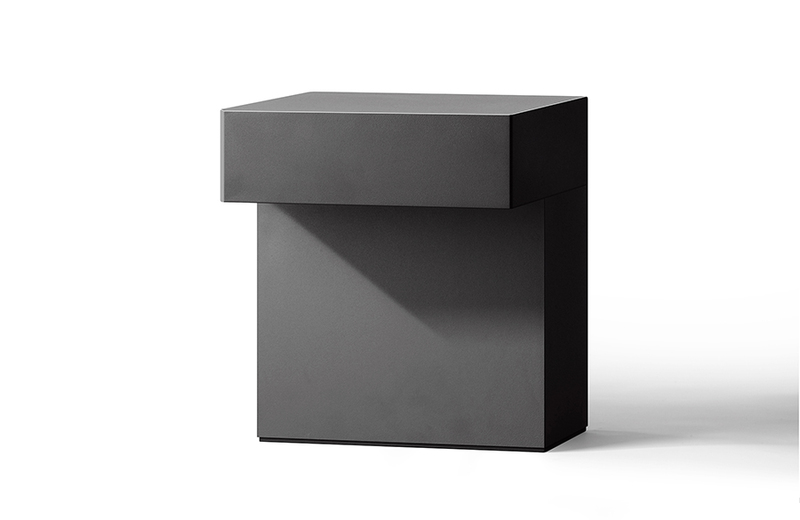 In this design, three cast aluminum panels surround a central glowing core. Vertical arrays of LEDs are shielded by an acrylite lens, with light shining through spaces between the panels, creating an overlapping pattern of illumination. Suitable for pathlighiting, or the fixture can be dimmed. Unlit models are available. Designed by frog. 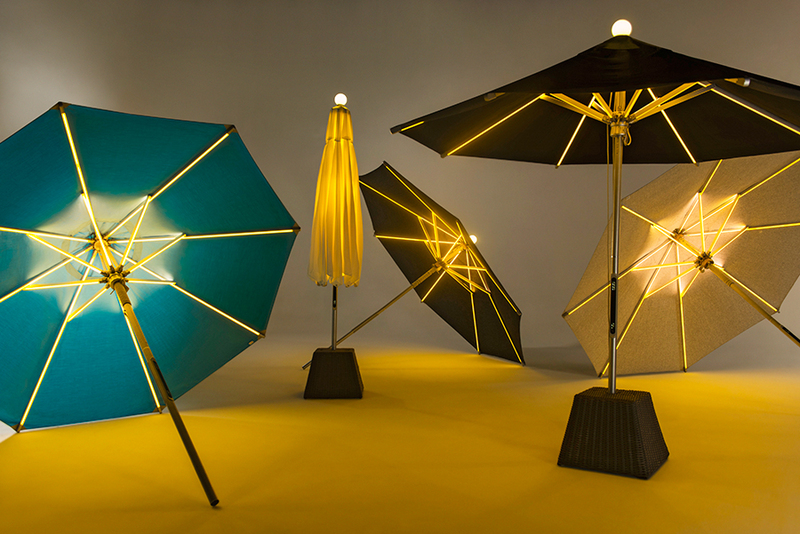 LED lamps concealed in the spokes of this umbrella can be used as uplights or downlights. Coordinated one-touch dimming allows multiple units to be controlled simultaneously—a boon for hospitality clients. Available in three sizes and many colors. Designed by Terry Chow.